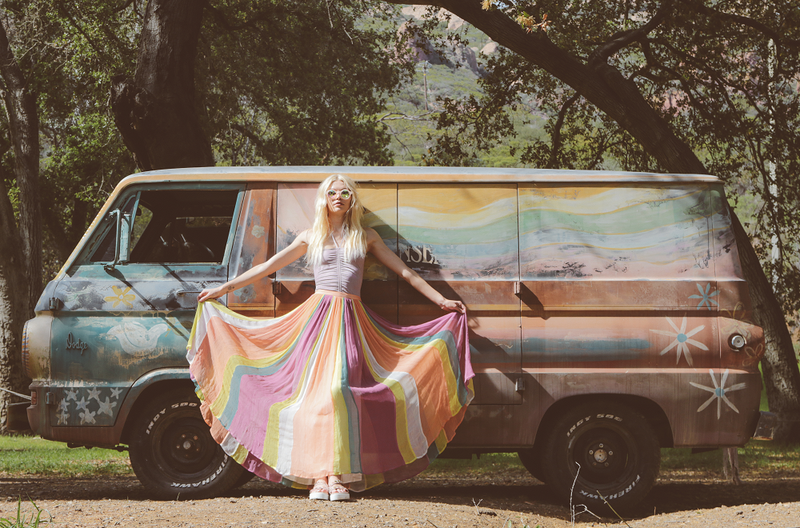 Free People's festival lookbook, "Kaleidoscope Skies," is filled with gorgeous silhouettes, cosmically-charged colors, and a touch of rainbow goodness. The lookbook includes colorful maxi skirts, fringed vests, hippie-inspired graphic tees, and flowy dresses. The looks are accessorized with fringed bracelets, retro sunglasses, and layered necklaces.